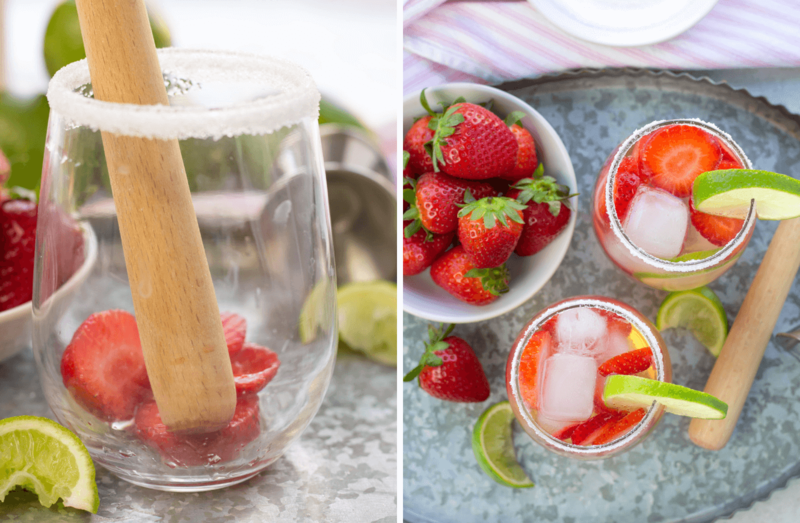 We have found 23 Perfect Summer Drinks to Sip by the Pool! It is officially July now! Yes, July! Halloween will be here before we know it but we still need to survive this extreme summer heat the next 2 months! 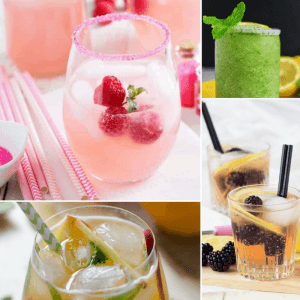 We rounded up some of the best non-alcoholic, refreshing, tasty drinks that are just…well… perfect for sipping by the pool. Want some recipes with liquor that are great for summer? Check out 20 Drinks for 21+ for ideas! 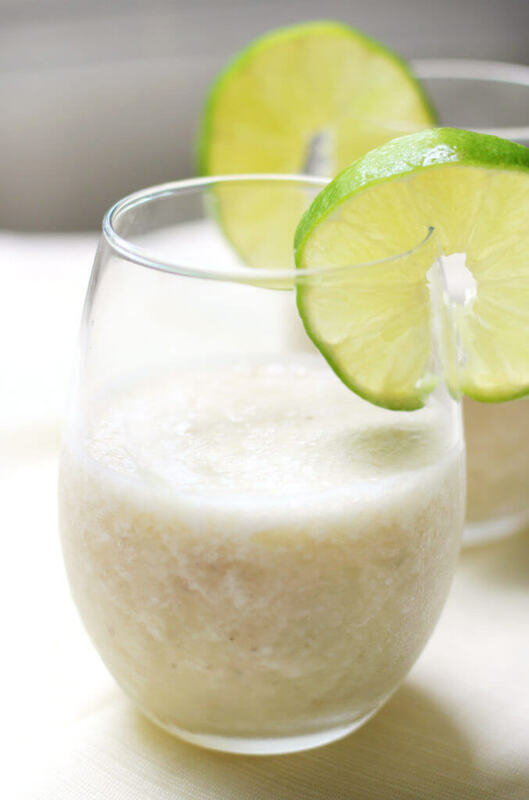 Virgin Banana Daiquiris from Strength and Sunshine that are gluten-free and sugar-free. Peach Flavored Perfect Lemonade from Watch What U Eat. I could dive into this one today! Limonana from Lindsay’s Travel Kitchen. A refreshing Syrian favorite! 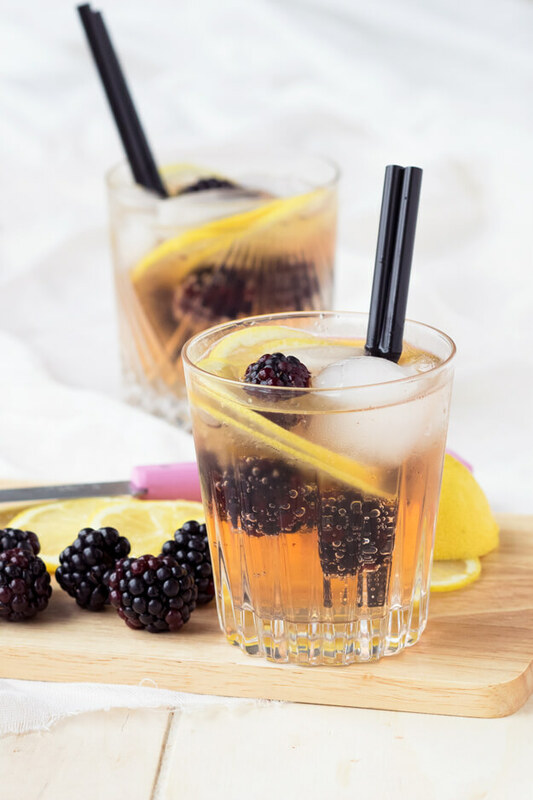 Blackberry Ginger Mocktail from The Worktop. I am a huge fan of ginger ale, it is so refreshing and delicious. Lime Cranberry Mocktail from My Wife Can Cook. How gorgeous is this drink? Raspberry Peach Lemonade from Wanna Bite. Raspberry Kiddie Cocktail from All She Cooks. I am in love! Copycat Chick-Fil-A frosted Lemonade from Mildly Meandering. 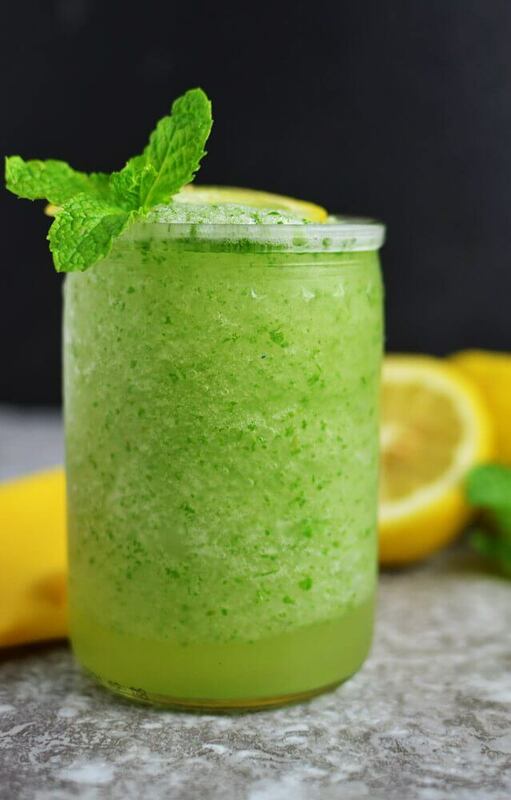 Easy Cucumber Lemonade from Mama Likes to Cook. Blackberry Passion Tea Lemonade from Ashley Brooke Nicholas. 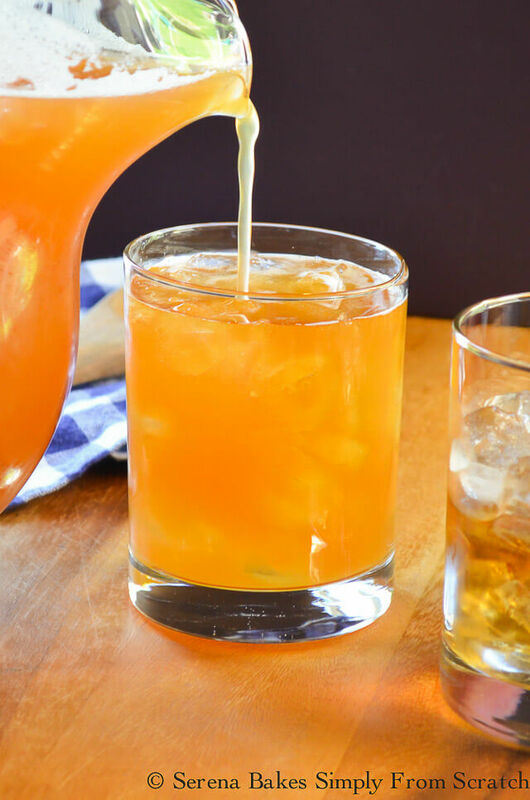 Homemade Orange Flavored Iced Tea from Bunny’s Warm oven. Cantaloupe Agua Fresca Drink Recipe from Divine Lifestyle. Freshly squeezed Single Serving Lemonade from Design, Eat, Repeat. Strawberry Limeade from Low Carb Yum. 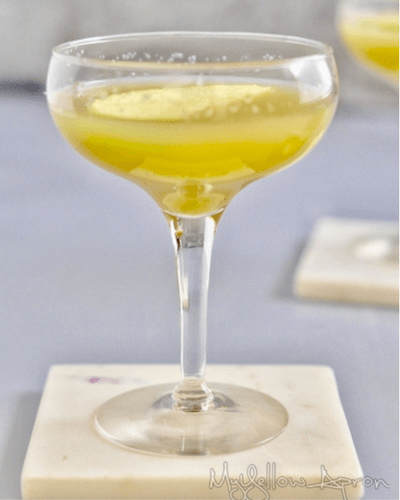 Non Alcoholic Copycat Painkiller Cocktail Recipe from Experimental Homesteader. 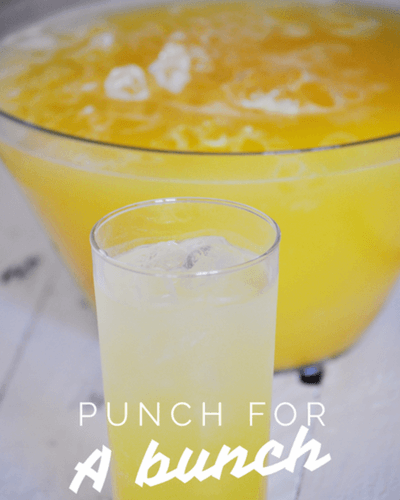 Lemonade Party Punch from The Country Chic Cottage. Easy Lip Smacking Strawberry Lemonade from Small Town Woman. Raspberry Mint Lime Cooler from Emma Eats and Explores. Pomegranate Punch from All She Cooks. Refreshing Cucumber and Lime Spritzer from Moms Who Save. Cucumber Berry Blast from Dinner with Rollos. 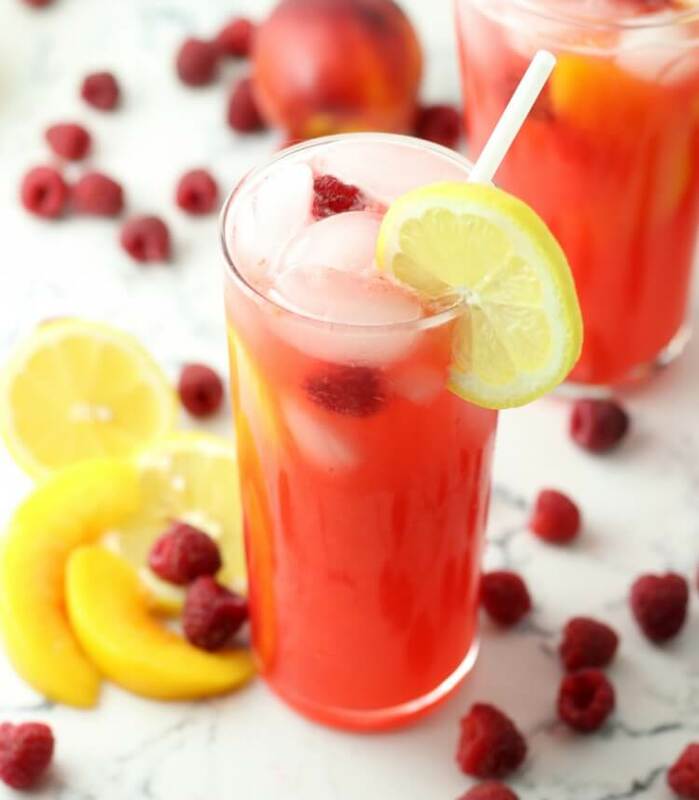 Sparkling Raspberry Soda from Joy Filled Eats. Peach Iced Tea from here at Simply Made Recipes. We have another round up today for 20 Summer Drinks for 21+. A list of 20 ahhh-mazing summer drinks that were created for hot summer days! There is a mix of everything from whiskey, vodka, to sangria and tequilas. I just have one question. Which one will you pick to sip by the pool first? 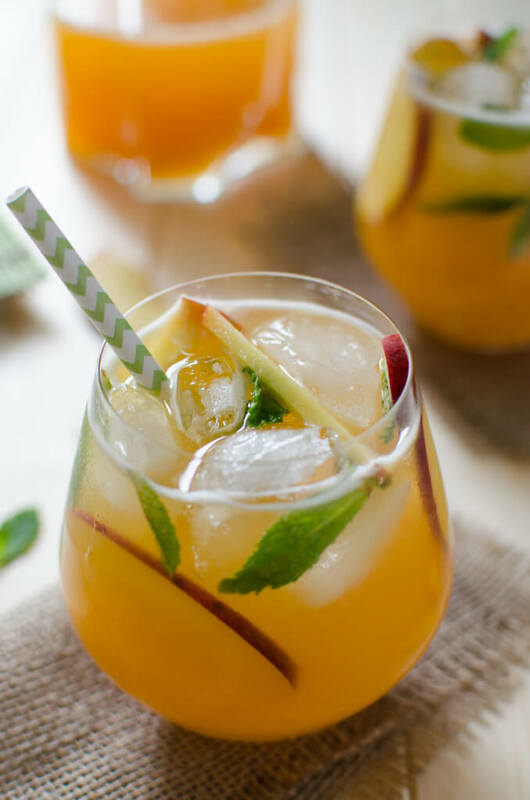 Peach Whiskey Iced Tea from Serena Bakes made with fresh peaches that is perfect for days lounging by the pool. Vodka Mint Lemonade Cocktail from Honey & Lime made with Stoli vodka and fresh berries. 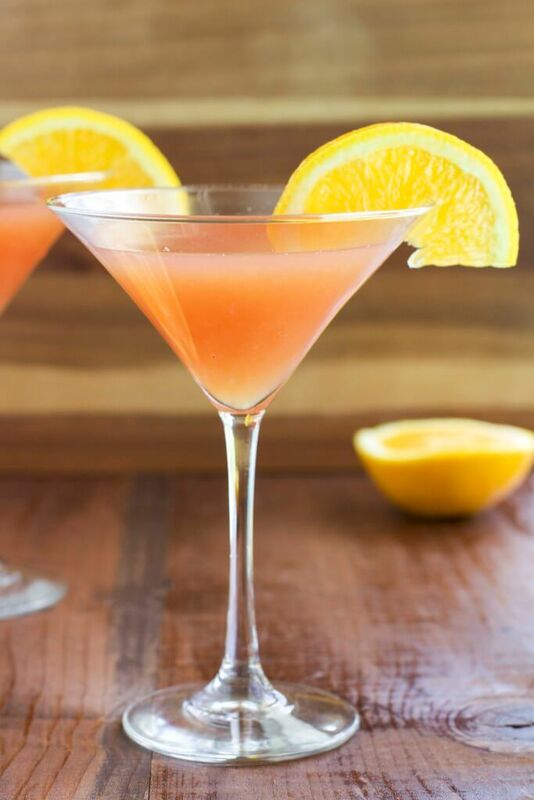 Passionberry Kombucha Martinis from Stacey Homemaker. Kombucha is something I have never had before but apparently tastes like a bubbly sweet tea. Yum! 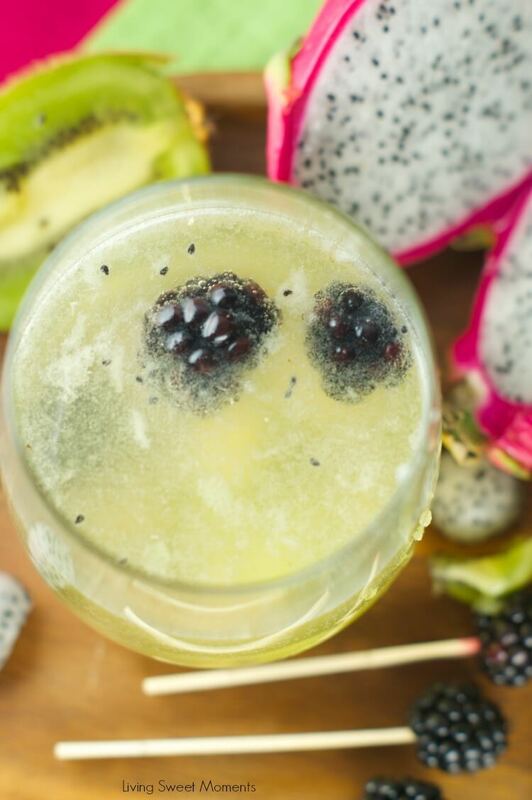 Tropical Moscato Sangria from Living Sweet Moments with dragon fruit, kiwi and blackberries. 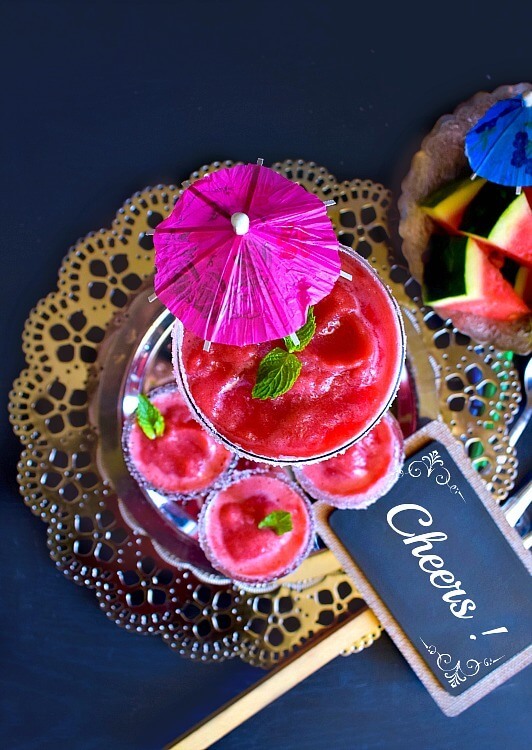 Best Ever 2 Ingredient Watermelon Vodka Slushie from my friend over at Easy Cooking with Molly. You guessed it- watermelon and vodka! 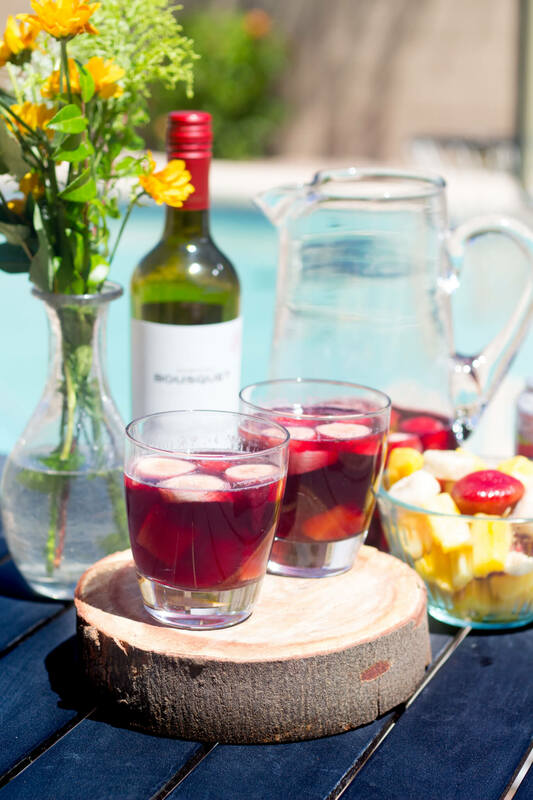 The Crazy Good and Easy Sangria Recipe that you will want to make all summer long from Eze Breezy. 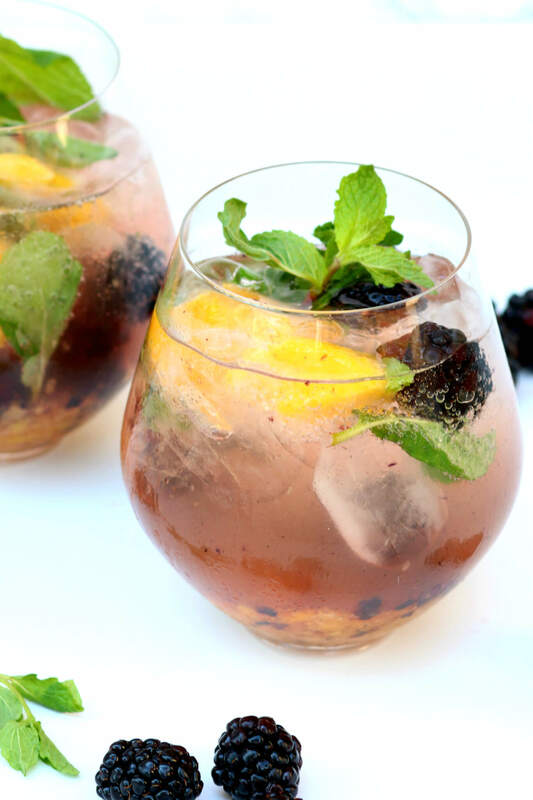 Fresh Blackberry Mango Mojito from Diary of a Debutante . Mojitos and summer are just the perfect pair. 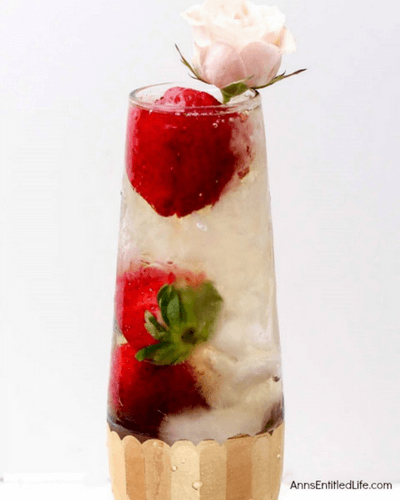 Skinny Wine Spritzer from Hungry Hobby with wine soaked fruits. Rhubarb Mojito from Living Sweet Moments. Strawberry Grapefruit Whiskey Iced Tea from Serena Bakes. Hibiscus Sangria from Immaculate Ruemu. High Tide Cocktail from Ann’s Entitled Life. Mango Jalapeno Margarita from Easy Cooking with Molly. Pineapple Upside Cake Mixed Drink from The Neighborhood Moms. Rose French 75 from Nomageddon. 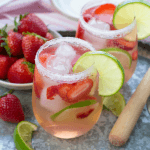 Strawberry Thyme Margaritas from My Wife Can Cook. Mezcal Margarita from Emma Eats and Explores. 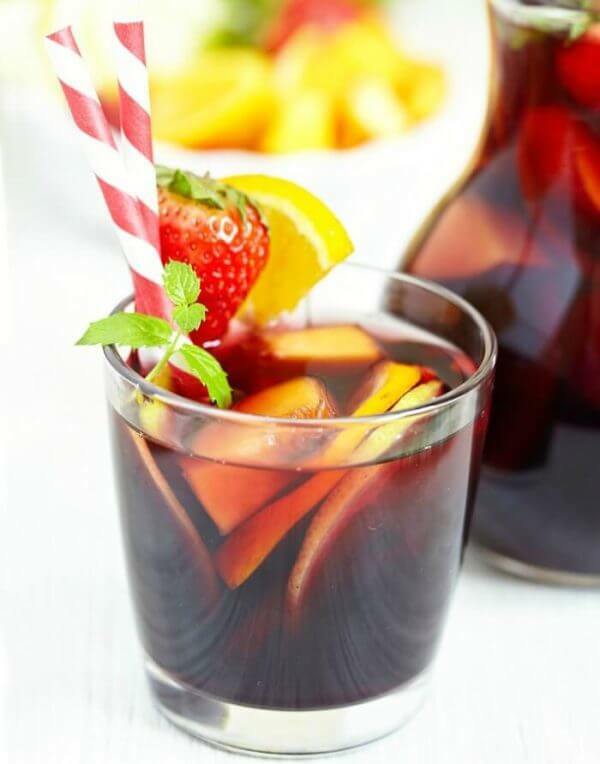 Homemade Fruity Red Wine Sangria from Happy Foods. 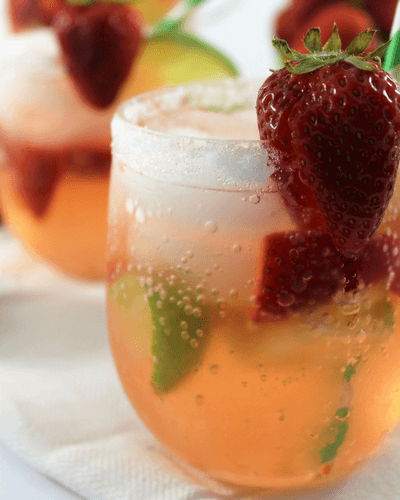 Strawberry Lime Vodka Tonic from here at Simply Made Recipes. Homemade Grenadine is way easier than you might think! Grenadine is commonly used in alcoholic drinks to add a little bit sweet, a little bit tart and a little bit color. You can also make non alcoholic drinks too though! Ever had a Roy Rogers or Shirley temple? My husband thought grenadine was a cherry flavored syrup and some of you may have thought the same. Grenadine is actually from pomegranate juice! Add a little sugar to make a simple syrup and you have a homemade grenadine. So easy! Why make it at home and not just purchase grenadine already bottled? To avoid preserves and red dyes! It is just a little healthier and tastes much better! You can even take this a step further and use freshly squeezed pomegranate juice. I have never taken on that venture so I don’t know how difficult it is to get the juice from pomegranate but give a try! Why not? The Pom Wonderful juice is 100% juice with no added dyes or preservatives so that is what I like to go with. 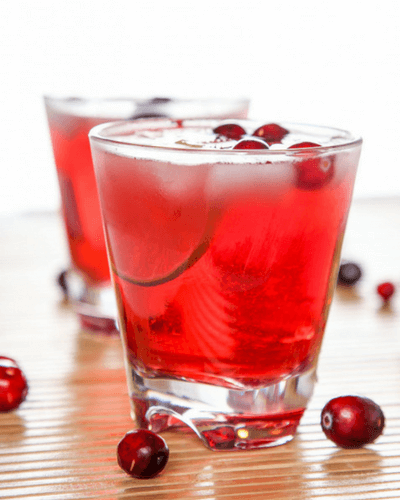 Make a Roy Rogers for all the family to enjoy with your homemade grenadine. Pour cola into a glass over ice. Add a splash of grenadine, garnish with a maraschino cherry. Done. My kids always want like 5 cherries in their drink, of course. That’s fine too. Add 2 cups pomegranate juice and .5 cup sugar into saucepan. Squeeze 1/2 fresh lemon in. Cook in a medium heat. Let simmer for 10 minutes using whisk to stir often. Pour grenadine into the storage bottle with the funnel. 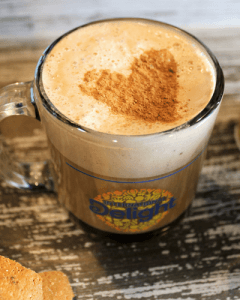 Making Time for Yourself Daily with help from International Delight® One Touch Latte™. 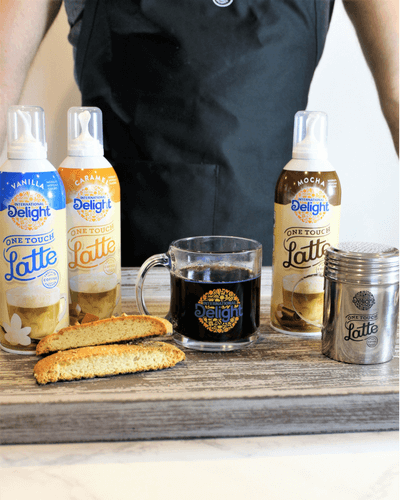 I am super excited to be teaming up with International Delight® because I am a long time fan and this is the first frothing coffee creamer! This product has not even hit the shelves yet! Don’t worry though, Walmart will have it in the next couple weeks. I am a busy mom. I need caffeine in my life. Every single day. I need caffeine or the moving, talking, cleaning, working, overall functioning does not get accomplished. More importantly than getting an energy boost, I need a moment to myself! Even if it just 10 minutes of lounging in the morning and sipping an amazing frothy latte in peace and quiet before the chaos of the day begins. Life is hectic. Two kids, 2 dogs, a ferret, a husband and a to do list that is literally never ending. I am the family maid, chauffer, taxi, dog walker, accountant, chef, dry cleaner, dog groomer, decorator, tutor, sitter and a dozen other occupations all rolled into one (also referred to as a mom). I frequently have to remind myself to take a moment for myself. I don’t need a weekend alone in the Bahamas or anything… well, that actually sounds pretty good now that I mention it. No, I need just a moment of “me” time. A moment to sit in silence or do something I love without a one year old tugging on me and screaming “MAMA MAMA MAMA” while the dogs bark and my oldest telling me that his life is over because the internet has been down for 2 minutes. I just want to get dinner on the table in time for my husband without stepping on a Lego in the middle of the kitchen. Why does a lonesome Lego always end up in the middle of the kitchen anyway? Why does my foot always find it? Who knows. Maybe that’s just my life. I did a little research before starting this tutorial. Uh yeah, “research”, so I went to a few local coffee shops test some lattes so I could have a fresh perspective. Let me tell you, this is the honest truth when I say making it at home with the One Touch Latte™ out beat them all! Plus, each can will get you 7 lattes which is a steal! I’m going to save so much money and with only three simple steps, I’m already addicted! 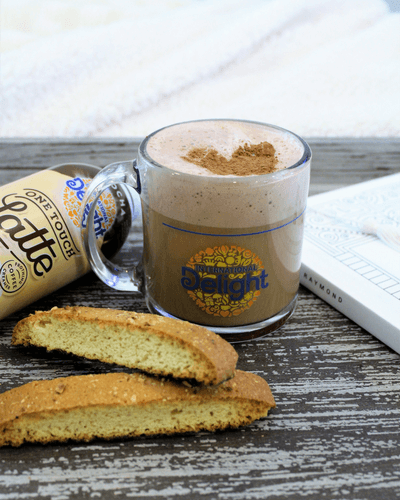 Make a latte at home and relax while reading a magazine or book. Make a large latte and head out to get a pedicure at your favorite salon. Put bubbles in the bath after the kids go to bed and make a chai tea vanilla latte to sip on while you soak. Curl up in a comfy chair and check your social media accounts while drinking your morning latte. Do some online shopping while drinking a latte and buy a little something for yourself. It’s okay, you deserve it! Take a mini “vacation”. In my world this “vacation” would be going to Walmart to do some grocery shopping and browsing around with a latte in my face without any children hanging on me or husband throwing junk food in the cart. Oh yes, it’s so about the little things in life. Sip a latte as you head to a yoga class. Let’s get started! 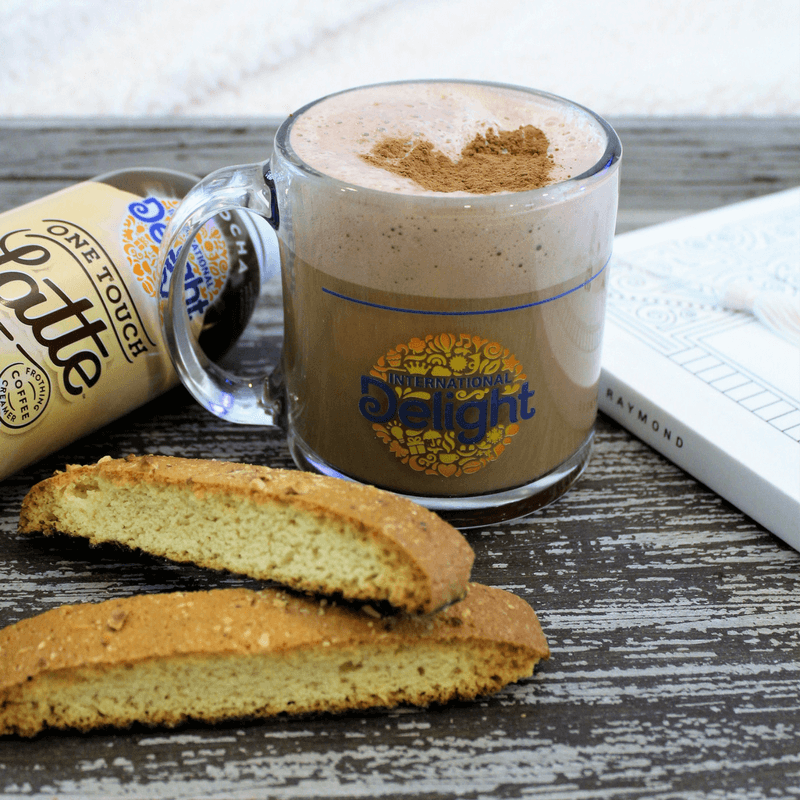 Go to your local Walmart and pick up International Delight One Touch Latte™ in Mocha. Grab the caramel and vanilla flavors too while you are there because you will want them for later! Pick up some cocoa for your heart design. Walmart literally has everything so super simple task here. 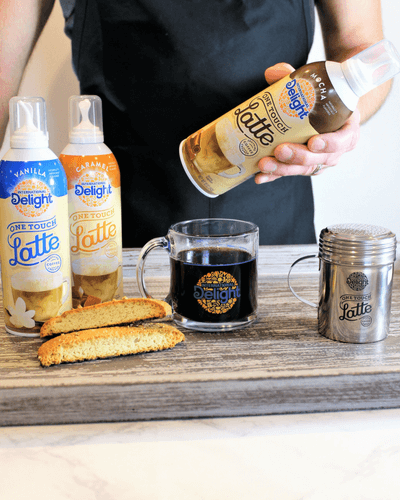 My dear husband, Aaron, helped me out today to show you all how to make a Mocha Latte using International Delight One Touch Latte™. How cute is he in the apron? Haha, I promised I would crop his face out and I kept my promise but he’s adorable. I’m getting distracted now. Back to the latte. So Aaron brewed a pot of coffee and filled a mug 2/3 full. Next, shake the can of Mocha One Touch Latte™, remove cap and press into liquid. Hold for 5-7 seconds. If you hold the tip too far away from the liquid, it will end up more like a whip cream, which we do not want. 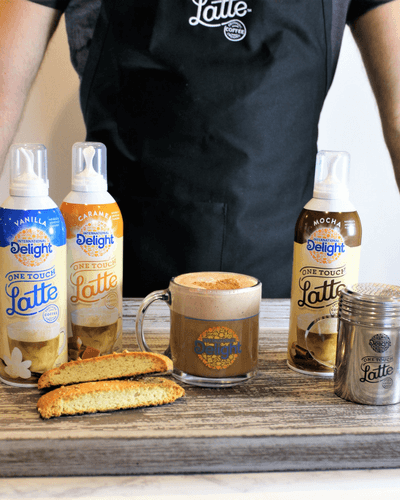 In the above video, notice the liquid spray from the can is being pressed down into the coffee mixing your flavoring in and giving you that amazing latte froth. For the heart template, grab a piece of paper and scissors. Cut a small heart shape and done. Place the heart template on top of mug and sprinkle the cocoa powder. This is optional, of course. Just nice to add a little pizazz. Have your loved one deliver to you in bed with a book. Maybe I am day dreaming again. Good luck on the delivering in bed deal but hey, it’s worth a shot. Chai Tea Vanilla Latte. Fill mug with hot water 2/3 full. Add chai tea bag and let seep for 5 minutes. Add the Vanilla One Touch and sprinkle a little cinnamon. Hello warm bubble bath and Chai Tea Vanilla Latte. This latte smells incredible! Mocha Latte. As shown in the above tutorial. Salted Caramel Hot Chocolate Latte. My son was getting jealous of all my latte drinking so I came up with a drink for him. Plus, needed to show off my new found Barista skills. Pour hot water into a mug filling 2/3 full, mix in your favorite hot chocolate packet mixture, sprinkle a pinch of sea salt (sea salt goes a long way so just a pinch), and then add the Caramel One Touch. 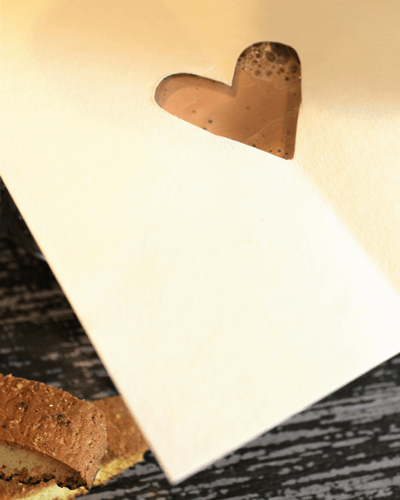 Cut a small heart shape in a piece of paper to use later. Pour coffee into a mug filling 2/3 full. Leave room for your froth. 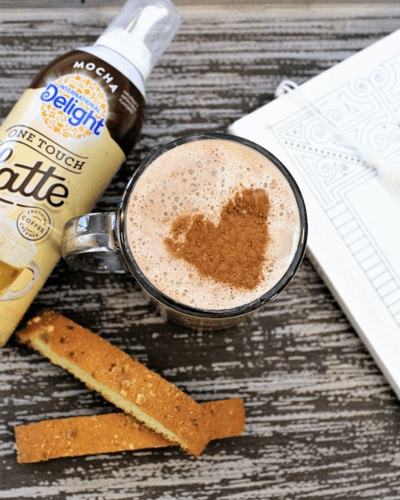 Shake Mocha flavored One Touch Latte can. Squeeze tip of can into liquid for 5-7 seconds. Place your heart template over mug. Sprinkle a pinch of cocoa powder on top, remove heart template when finished. How do you make time for yourself daily? If you don’t make time for you, how can you take 10 minutes for yourself starting today? Bring in the New Year with class and simplicity. Here are 9 alcoholic drinks from some of the best sites around. Whiskey, vodka, champagne, root beer, wine… a little bit of something for everyone to make this NEW Years Eve the best one yet! 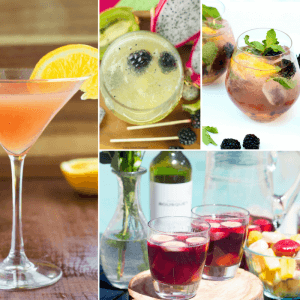 Need some Non-Alcoholic ideas too? 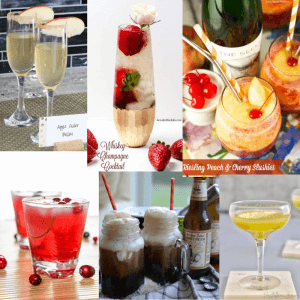 Check out the round up of 7 Non Alcoholic New Year Drinks! 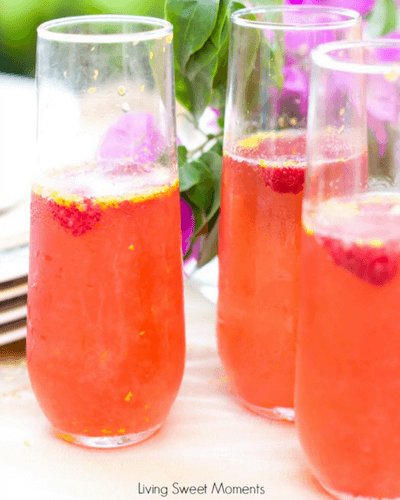 Orange Raspberry Sparkling Wine Cocktail from Living Sweet Moments is beautiful and delicious. 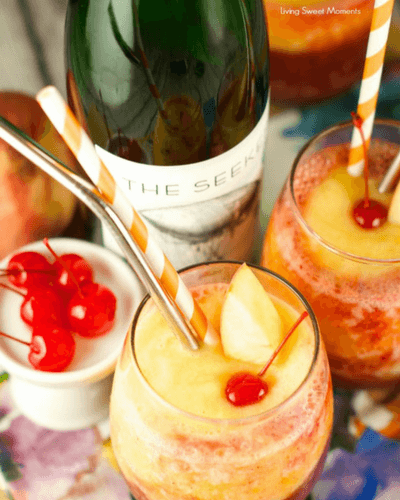 Riesling Peach and Cherry Slushies are another beautiful drink from Living Sweet Moments that is sure to be a crowd pleasure. 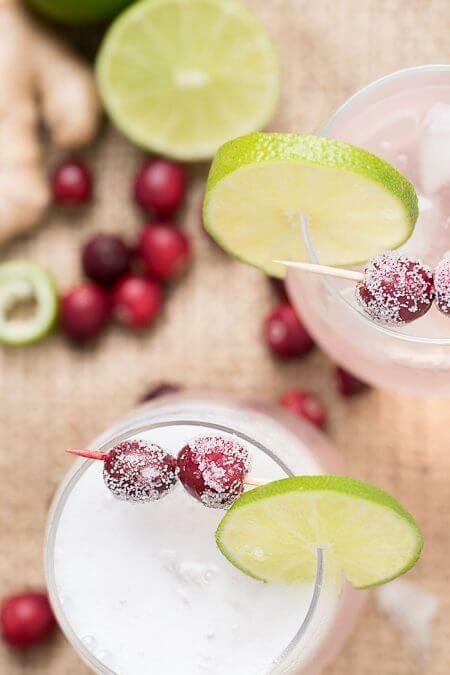 Get the recipe for Cranberry Margaritas from Baking Beauty for a perfect New Year cocktail that all will enjoy! Whiskey Champagne Cocktail from Ann’s Entitled Life for just the sort of drink your guests want at a New year’s party. 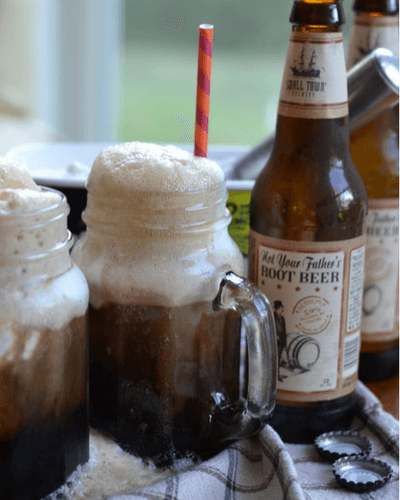 The Adult Root Beer Float from Small Town Woman. I have made a similar recipe in the past and it is yummy! Sure to be a crowd pleaser. 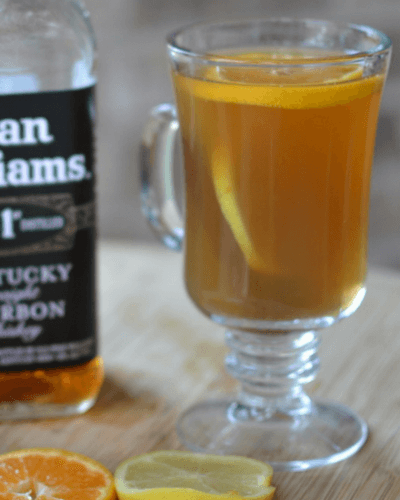 Stay warm with a Hot Lemon Orange Toddy also from Small Town Woman. Tart Green Apple Martini from My Yellow Apron for a simple but classic drink for all. 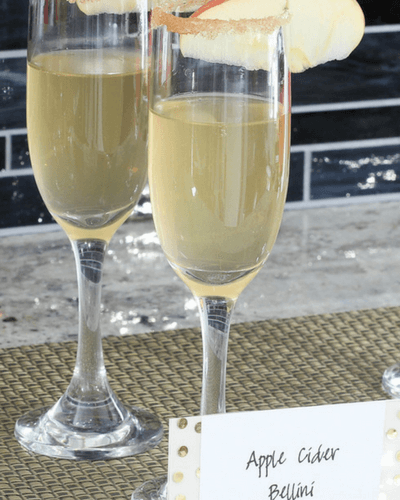 Find out how to host a Cocktail Tasting Hour and peak at these Apple Cider Bellini’s from Lydi Out Loud. Good bye to 2016 and hello 2017! 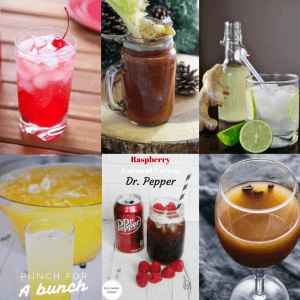 Here is a round up of 7 awesome drinks that are non-alcoholic and kid friendly to celebrate New Years whatever your plans may be! Need some ideas for drinks with alcohol too? Try the round up for 9 Cocktails for the Best New Years Eve Yet! Keep in mind that many of the drinks listed here before can easily be spiked! 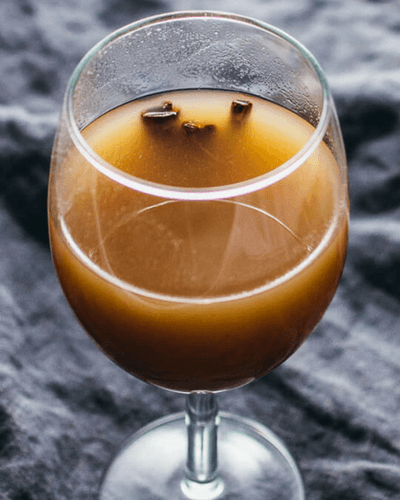 Cinnamon Pear cider from Savory Tooth that you can drink hot or cold for a perfect holiday beverage. 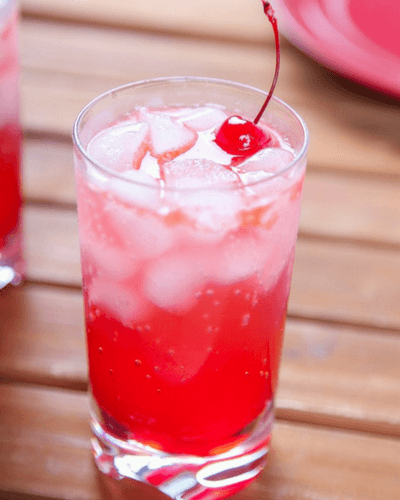 Shirley Temple Mocktail from Baking Beauty. Simple, fun drink that can also be spiked for the adults. 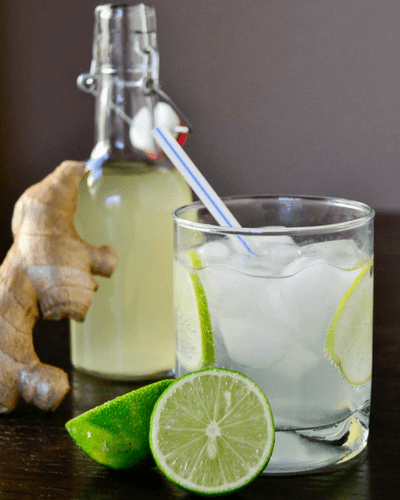 Ginger Lime Fizz from Renee Nicole’s Kitchen. 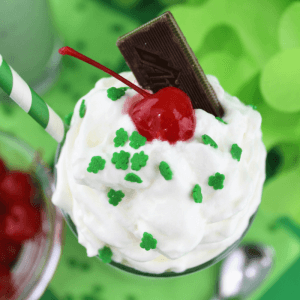 I haven’t had a drink like this before but it looks delicious and so simple to make! Punch for a Bunch from Live, laugh, and Craft. Make a big bowl and let people serve themselves so you don’t have to play bartender all night long! 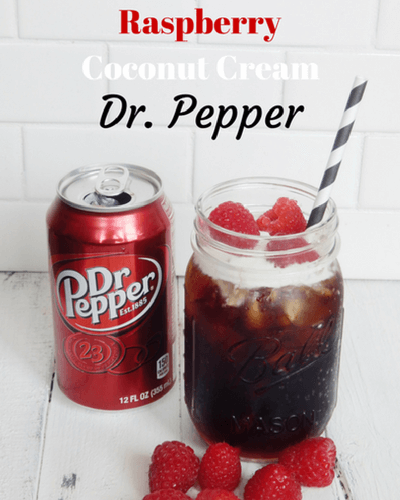 Raspberry Coconut Cream Dr. Pepper is another great non alcoholic party drink from Live, Laugh, and Craft. 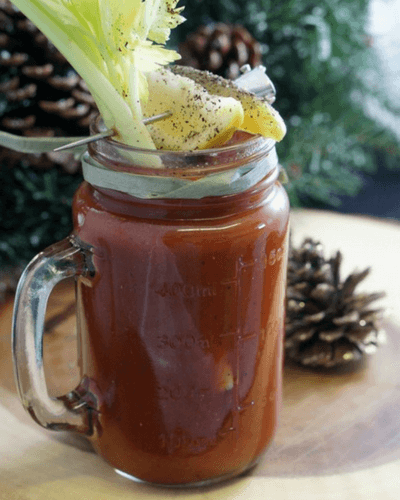 Virgin Bloody Mary recipe from Slap Dash Mom. We all know this one can also be delish spiked for those that need an alcoholic version. Salted Caramel Hot Chocolate from here at Simply Made Recipes to make sure you all stay warm for New Years. 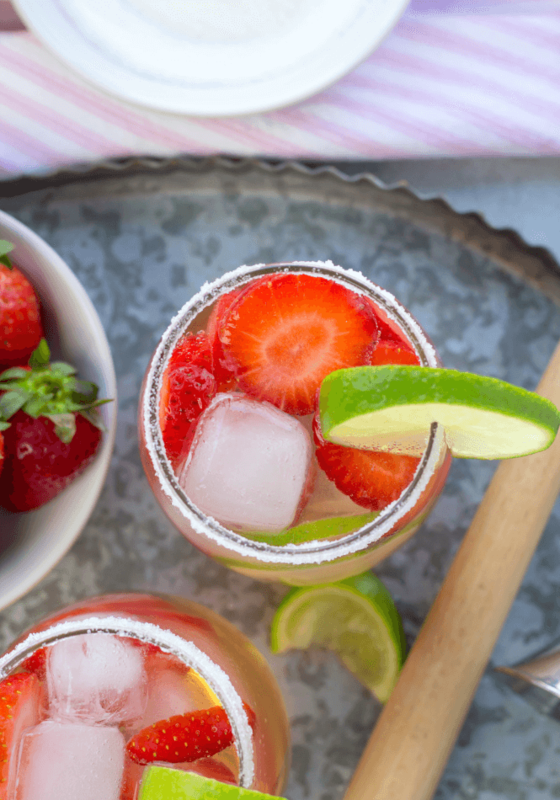 Strawberry Lime Vodka Tonic is made with vodka, tonic water, freshly squeezed lime juice, fresh strawberries and just a pinch of sugar with a sugar rim and a lime slice garnish. 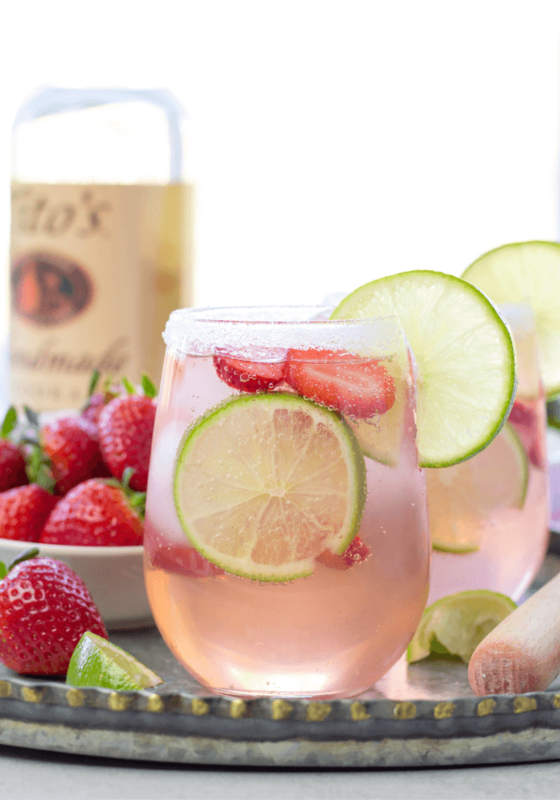 This Strawberry Lime Vodka Tonic is a favorite drink of mine. It is refreshing and goes down so easy and the light shade of pink is just beautiful. Yes, I full-heartedly believe the pink color makes it taste better and don’t even care if it makes no sense. 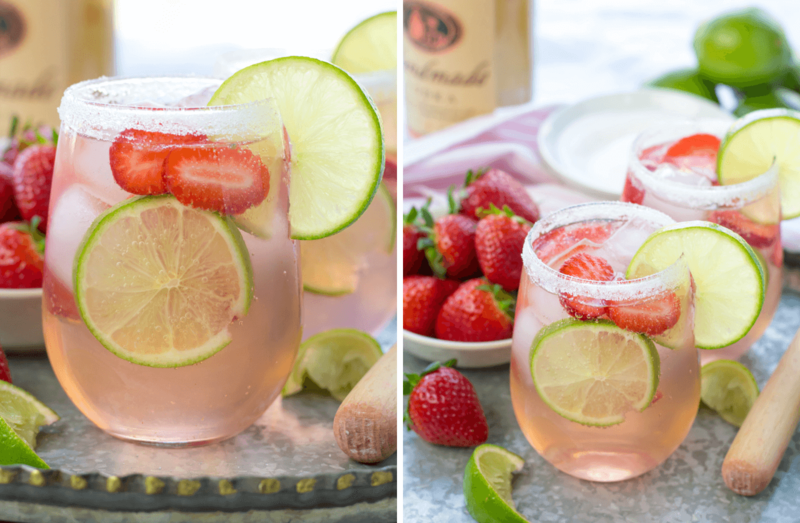 Strawberry Lime Vodka Tonic is the kind of cocktail you will want to make all summer long and bring poolside to sip on while enjoying the hot weather. It will cool you off and doesn’t have a lot of calories like many other cocktails. So hey, you could even enjoy a few of these babies. The one thing you should do with this cocktail is use a good muddler. 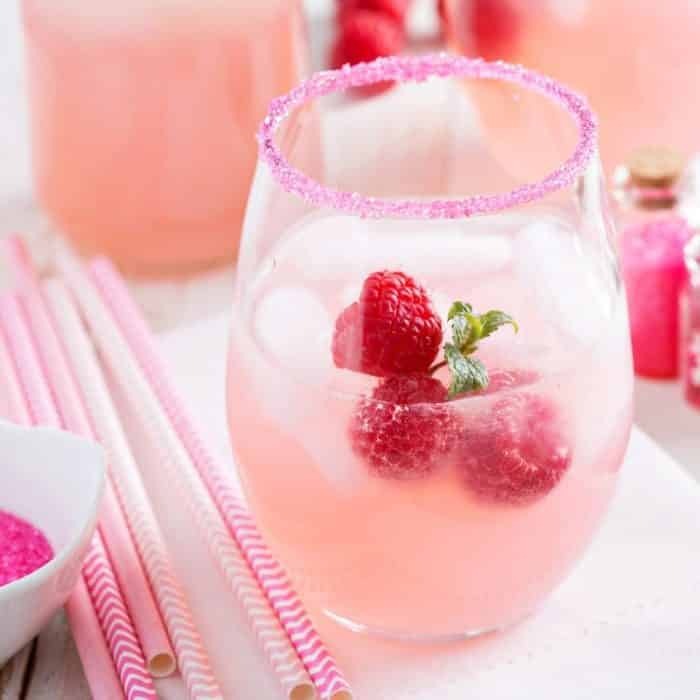 A muddler will help infuse the strawberry and lime flavors into the vodka so it disperses among the cocktail so you get a little sweetness from the strawberry and a little sour from the lime for the perfect balance. Gather ingredients, shot glass, bar glass, knife, cutting board, muddler, and plate. Slice 2 strawberries and half a lime. You want wedges for squeezing lime juice and a slice for garnish. Pour a small amount of sugar onto a plate. Prep the bar glass by taking a lime slice and sliding along glass rim. Immediately put the glass rim in the plate of sugar. The sugar will stick nicely to the lime soaked glass rim. 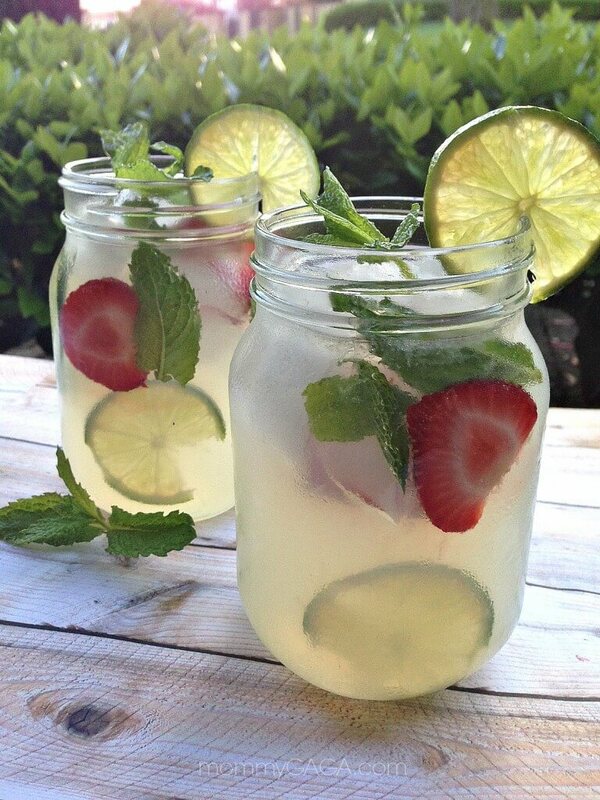 Add 1 sliced strawberries and squeeze 3 slices of lime into glass. Muddle slightly to release the strawberry and lime juices. Add a pinch of sugar. Add one shot of vodka which is around 1.5 ounces. Fill glass with ice and the other slices strawberry and top off with tonic water. Garnish with a lime slice. Enjoy! How do you see yourself enjoying this cocktail? Lounging by the pool? Hanging out with friends? At dinner ? Let me know in the comments below. During the spring and summer, smoothies are basically an every day menu item for breakfast or lunch… sometimes even dinner with a cold sandwich like the Ham, Cucumber and Sprout Sandwich with Spicy Mayo. This Strawberry Vanilla Smoothie is just so refreshing and packed with protein and other nutrients to make it a solid, well balanced meal. The recipe given makes about 4 small servings, you can easily make 2 large smoothies or cut the recipe in half. So, what kind of protein powder should be used? This is up to you completely. I do recommend vanilla for the flavor and protein powders vary so much in taste and texture that you really have to just use what you like and are used to. Personally, I like the Body Fortress brand because it isn’t as chalky as other brands and gives a nice balance of flavor for a smoothie. Grab ingredients, blender and measuring cups. Add your almonds and oats to the blender, blend for one minute. Add the remainder of ingredients and blend until smooth.